There’s a new bureau in town, and it’s all about environmental justice. 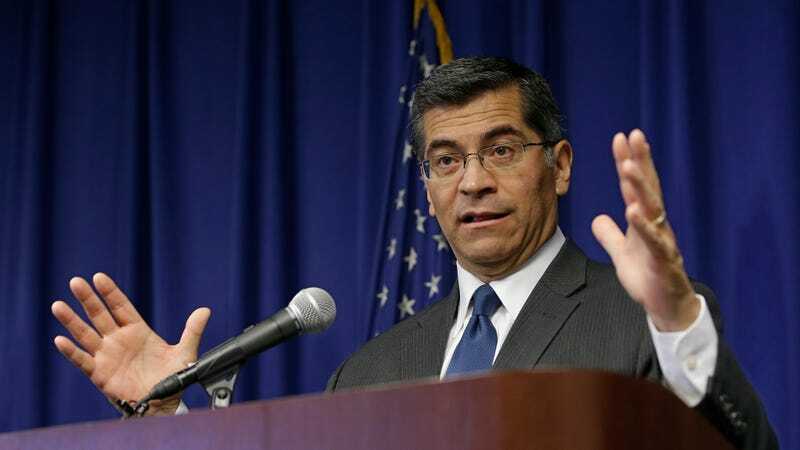 On Thursday, California Attorney General Xavier Becerra established the Bureau of Environmental Justice, a four-attorney team whose sole focus will be protecting the low-income and communities of color who suffer disproportionately from pollution. How will they do this, you ask? “Oversight, investigation, and enforcement,” according to the attorney general’s office. The new bureau will report to the state’s Department of Justice. While this isn’t the first time a state has taken explicit steps to better integrate the concept of environmental justice into its agenda, it does appear to be the first time a state’s Justice Department has taken a strong stance on this kind of environmental protection. This new force will focus on enforcing the California Environmental Quality Act, cleaning up contaminated drinking water, eliminating or reducing lead exposure, penalizing polluters that illegally release pollutants into the air and water of disenfranchised communities, and standing up to any federal actions that put communities at risk. The attorney general has already made that last goal clear in the dozens of lawsuits he’s filed against the Trump administration. Many include challenges to environmental repeals from the Environmental Protection Agency—like those on fracking and water supplies—which would have dangerous implications on communities already overwhelmed by pollution from industrial facilities. With this new bureau, he’ll have a team of attorneys dedicated to this effort. The attorneys have not yet been hired, but the supervising deputy attorney general is set to start working on the agenda next week, according to The San Francisco Chronicle.